Deutsche Bank AG is a German investment bank and financial services company. Deutsche is operational in 58 countries with a large presence in Europe, the Americas and Asia. As of December 2017 Deutsche Bank was the 17th largest bank in the world by total assets. Deutsche Bank’s numerical reasoning test comprises of questions which relate to graphs, percentages and tables whereby you will be asked to analyse data and chose from a set of multiple choice answers. There will be a time limit of one minute per question and there will be a total of 20 questions and so practicing answering these type of questions in timed conditions is vital. 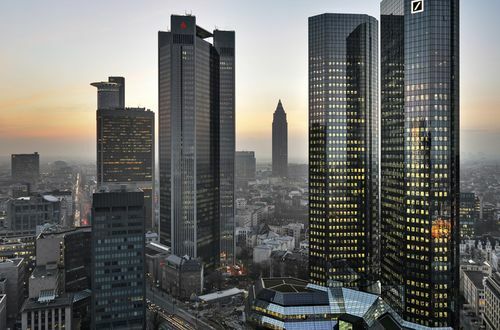 Deutsche Bank use Kenexa as their test provider. You will have to sit these again at the assessment centre. This test presents you with a series of challenging scenarios that one might encounter in the workplace and then a number of possible responses to the scenario. You then chose which one you feel is the best way to describe how you would react. As with the rest of the tests you will be timed and so it is important that you read the information properly and not rush. These situational judgement tests will be taken at the assessment centre. It is important to know the company values to ensure your answers are best matched with theirs. Depending on the type of role you are applying for will depend on the type of interviews, however it’s vital to have an excellent working knowledge of the company and their morals. Preparation for interviews is the best way to practice, running through various questions and ensuring that you are able to think on your feet and remain calm under pressure. You must also make sure that you are absolutely clear on the workings of the role that you are applying for.